*Please note that we do not stock everything that is displayed on the website in the shop. If we are out of stock of an item or you cant see it on our site please get in touch as it usually takes no more than 2 days to get it back in. 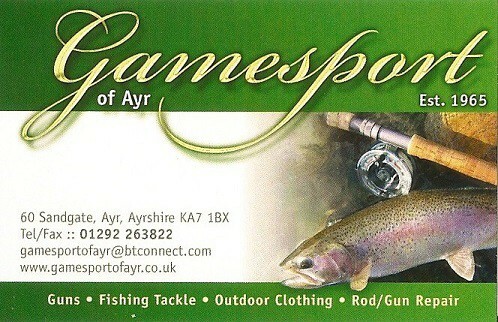 Gamesport of Ayr was founded in its current location in 1965 in the seaside town of Ayr and is centrally located in the Sandgate area of the town, close to the main shopping precincts and beside the West Kirk. Why not come and pay us a visit to discuss your requirements or feel free to just browse around the shop.